If you have a challenging or unusual air conditioning application, our A/C experts can custom-design your ideal solution. Our expert team has designed specialist A/C systems for all kinds of unique spaces – from experimental labs to artificial ice caves. With over 50 years of experience, we provide technology innovation and intelligent problem-solving skills. So our clients can achieve all kinds of goals, from extreme energy efficiency to extreme climate precision. Bradley Refrigeration can design, install and maintain specialised air conditioning systems for a huge range of requirements, at almost any scale. Based in Sheffield, we work with clients all over the UK and abroad. Have a unique space with precise climate needs, such as a laboratory, a constant temperature room or an environmental chamber? A custom-designed air conditioning system is often the best fit. Our system designers can quickly understand your needs and match them to the best technologies. Our A/C technologies lead the field in both efficiency and cooling power. Our ‘free cooling’ systems use outside air to cool spaces at near-zero cost. Our designers have engineered super-cooled spaces where you wouldn’t normally find them, like an ice cave in Nottinghamshire. 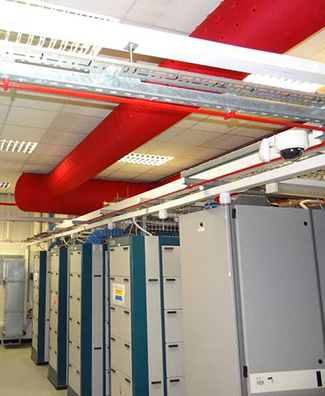 Need precise control over the climate of your space? We can provide custom controls, which allow you to adjust any aspect of your climate. And our specialised monitoring systems give you complete confidence that your temperature, humidity and other conditions are under control. Reduce the total cost of your specialist A/C system over its entire lifespan, with our cost-effective maintenance plans. Minimise the impact of equipment issues with our 24-hour engineer call-out service. You benefit from the best in reliability and less downtime. If you have a specialist air conditioning application, anywhere in the UK, one of our expert system designers can provide a free site survey and estimate. Call our team in Sheffield on 0114 236 9971, or email us to find out more.